When you need to drill large diameter holes in concrete, stone and other dense masonry materials, reach for a DEWALT DW5925 4 in. x 22 in. 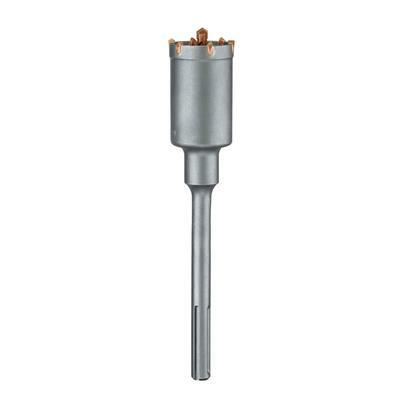 SDS-Max One Piece Carbide Core Bit. Designed for use with your rotary hammer drill, these ultra-heavy-duty bits feature tungsten carbide teeth, hardened steel body, and one-piece design for maximum durability. The alternating tooth design and low-friction core body provide quick centring and faster drilling.